It was a quiet afternoon on Sunday. Mike had left on a business trip and our daughter Krista has moved for a new job that she started a week ago; that left my son Adam and me for dinner. I wanted something simple and something that wouldn’t take too much time. So once again I turned to my trusty crock pot, for our dinner meal. I had chicken breasts that were thawed out and thought sandwiches would be perfect. Adam is really into barbecue sauce, he eats it on almost everything and for me I didn’t feel like having barbecue sauce on this chicken. So a simple shredded chicken was perfect for the both of us. Adam could add his barbecue sauce to his sandwich and I could have something a little simpler. This chicken doesn’t have to be used for sandwiches it could be used for tacos, over potatoes or pasta… or whatever you can think of. 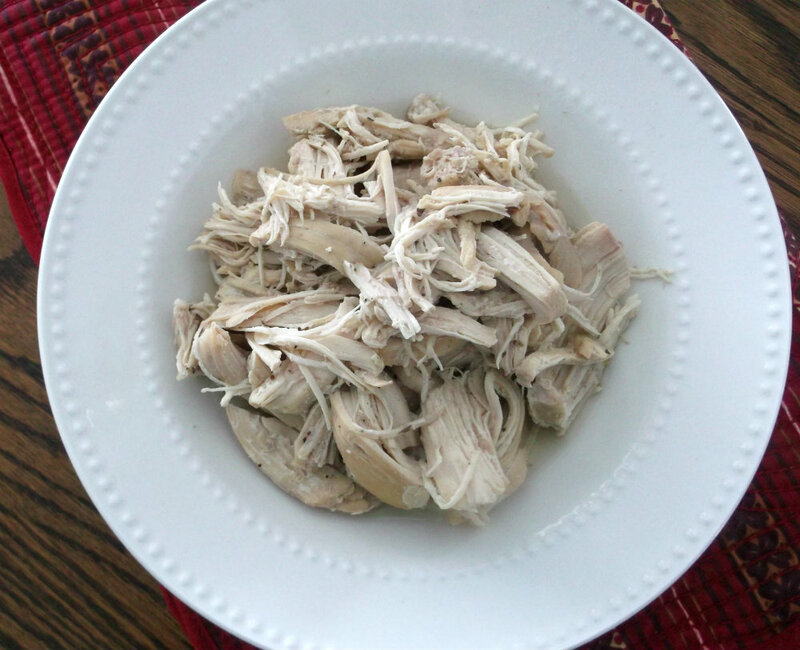 I know that I will be using this recipe quite a lot since we all enjoy chicken and I love my crock pot. 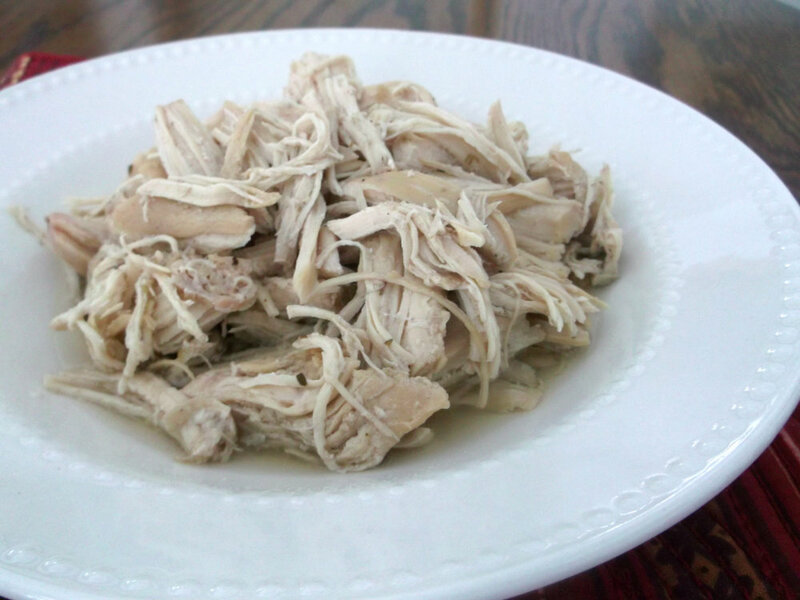 Place chicken breast in a crock pot and cover with water. Add all the other ingredients to the chicken and the water. Turn the crock pot on low and cook for 6 hours. 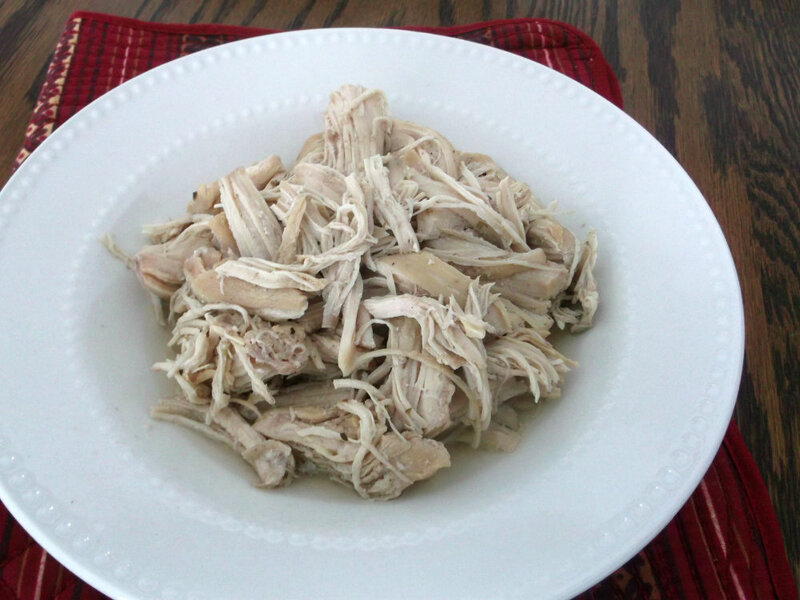 Remove chicken from crockpot and shred with a fork. Return to the crock pot until ready to serve. This is so practical – to have pre-cooked chicken in the house. There are so many uses – in salads, pasta, Asian dishes. And, I bet, because you cooked it in crock pot, it has just the perfect texture: not dry or undercooked. This sounds like a nice and easy versatile recipe. I could definitely see how you could take the cooked chicken in so many different directions. Really nice – thank you.